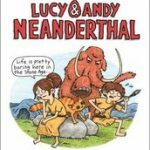 Lucy & Andy Neanderthal by Jeffrey Brown. Crown Books for Young Readers; 2016. Readers with in interest in archaeology will especially love this new book from favorite Brown. Using histrademark cartoon style he introduces us to Lucy and Andy, two Neanderthal siblings. 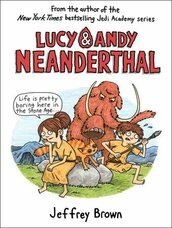 As an added bonus, two archaeologists appear at the end of each chapter to discuss how the tools and activities that Lucy and Andy use, make, and perform daily, show important information about Neanderthal life. For ages 8-12. Secret Coders: Paths & Portals by Gene Luen Yang. First Second; 2016. From graphic novel star and National Ambassador for Young People’s Literature come the second title of the Secret Coders series. 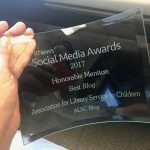 Thanks to his experience as a high school computer programming teacher, he is able to include lots of logic puzzles and basic programming information for young readers, while also keeping the plot moving with an exciting mystery plot! For ages 8-12. 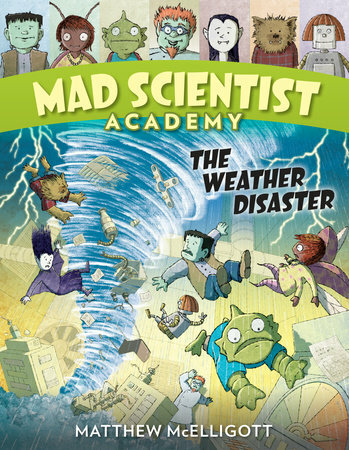 Mad Scientist Academy: The Weather Disaster by Matthew McElligott. Crown Books for Young Readers; 2016. 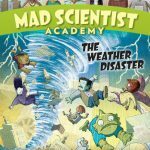 A good choice for younger elementary age readers, this latest installment in the Mad Scientist Academy is another fun combination of science and adventure. Dr. Cosmic’s new invention malfunctions and causes extreme weather for everyone at the school! For ages 5-8. Meanwhile by Jason Shiga. Harry N. Abrams; 2010. This graphic novel uses a choose-your-own adventure type format to allow readers to up to 3,856 possible stories. Not all of these endings are happy though so choose carefully! Kids will also learn some basic concepts about probability and statistics as they flip through these pages. Math and comic books make a great combo! 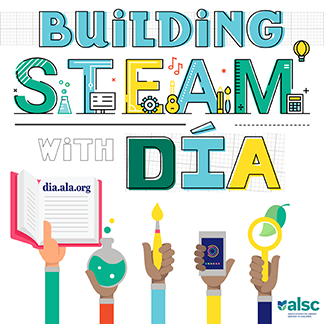 There are plenty of other quality graphic novels for children that incorporate STEM concepts- what are some of your favorites? How do you introduce these concepts to readers? I love using graphic novels to teach STEM! I’ve been doing this with my graphic novel book club for 3-5th graders. We made artbots with Robot Dreams, film canister rockets with Binky the Space Cat, squishy circuits with Squish, stop motion monsters with Monster on the Hill, an egg drop challenge with The Misadventures of Salem Hyde, and recycled racers for Lowriders in Space!